Belgrade, the Serbian capital, is located on the European crossroads, where east meets west and north greets south. The only European city bombed three times in the 20th century, it has been demolished over forty times in its two thousand year-old history. Traces of its turbulent past are woven into its built environment. 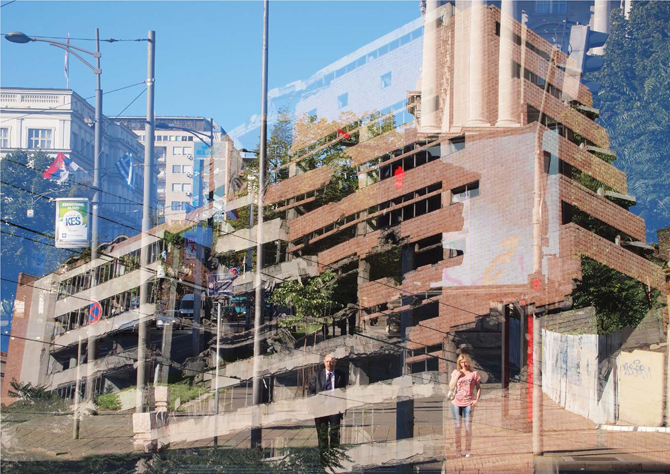 Layered within it are the ways the city deals with this history; selective memories alongside constant reminders are the daily life of Belgrade. 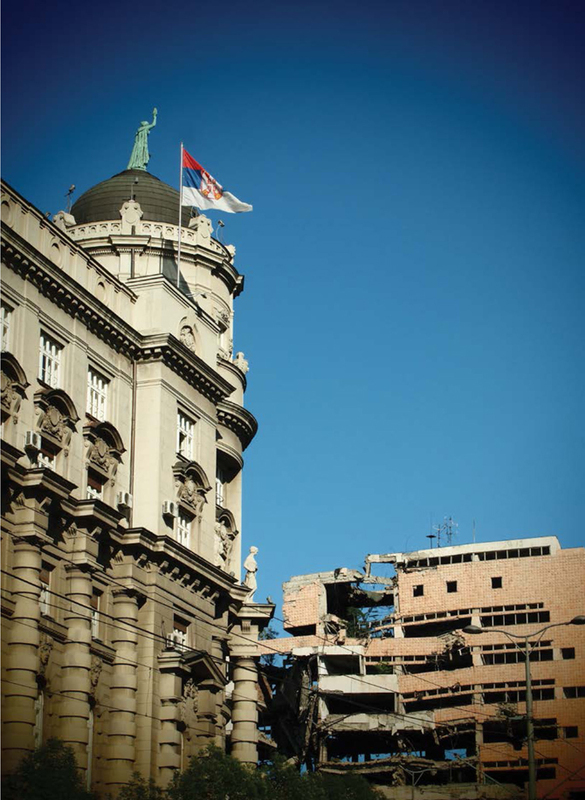 For a long time, Belgrade was a border city, a point where one Empire faced another. The end of the 18th century brought liberation from the centuries-long Ottoman reign. The young, independent country was eager to prove that it was more than just geographically in Europe. Signs of modernity began to rise all over the capital. With political changes at the beginning of the 19th century, the rivers ceased to be borders and Belgrade’s territory expanded into the vast and empty marshlands on the left bank of the river Sava. The first transformation of the marshy site turned it into exhibition grounds. 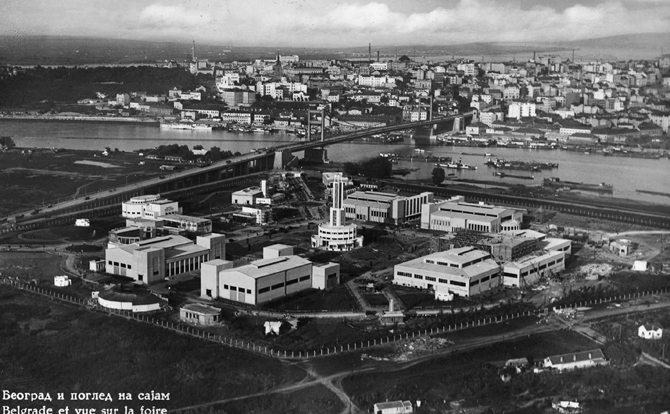 This new built Sajmište — the Fairground — heralded the westward expansion of the capital, and between the two world wars, it became the pride of modern Belgrade. Located just a short walk from the city center, every exhibition held on the site become a must-visit among trend-thirsty Belgraders. In the ten days of the First International Belgrade Fair, over two thirds of the entire city population visited the Fairground. However, the popularity of the City Fairs and the Belgraders’ rush to the first and only settlement on the left bank of the river stopped abruptly when World War II broke out. Once again, the river Sava became a border, leaving Belgrade on one side, staring at the Fairground on its other side. The Fairground’s chosen design emanated out of building urgency and planning difficulties. 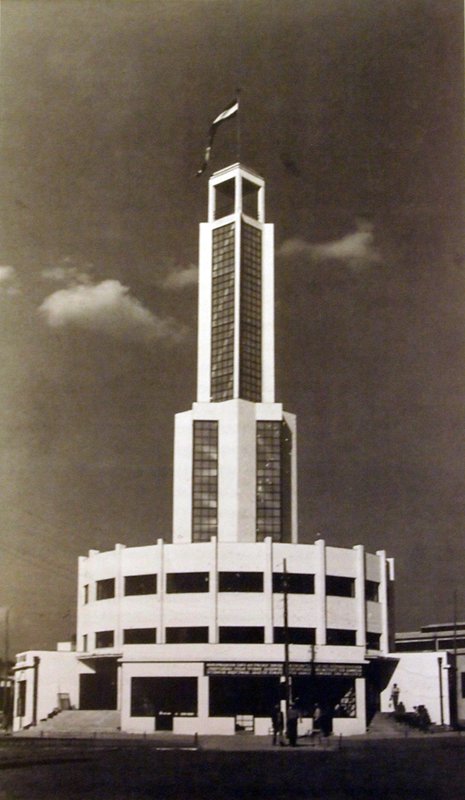 Its enclosed form and centrality was a subject of criticism. It was not suitable for organically connecting a further urban development on the left bank of the river. Bizarrely, the design was perfect for organizing a Nazi concentration camp. The transformation was as simple as enclosing it all with a piece of barbwire. Established by Nazi Germany in December 1941 on the outskirts of Belgrade, the Sajmište concentration camp was one of the first camps in Europe and the largest one in occupied Serbia. During World War II, over 7,000 Jews were systematically murdered there, and over 10,000 Serbs and Roma people also died there. The end of the War and the new liberation changed the state border again. This time, the new regime saw the empty marshlands on the left bank of Sava as perfect ground for the new capital of the young united state. The plans for New Belgrade, the pride of modern Yugoslavia, rose on Le Corbusier’s principles, from a completely blank paper. 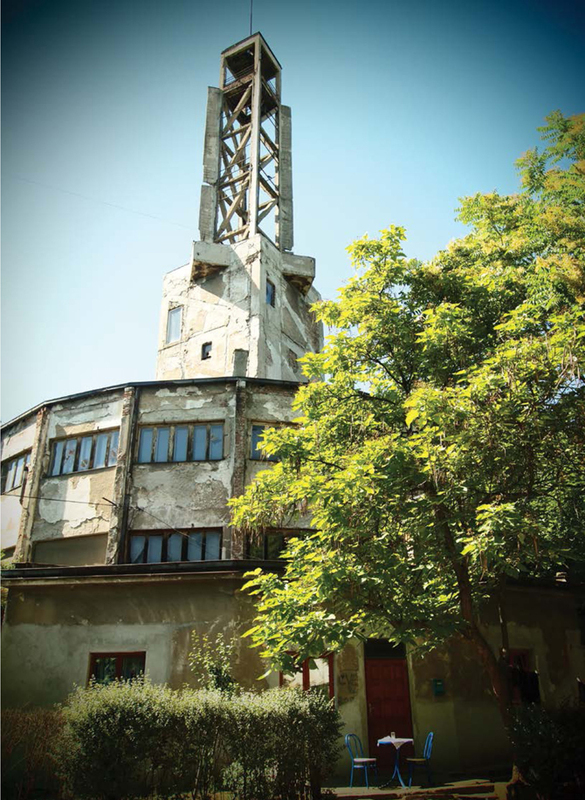 The only built structure on the left bank, Sajmište—the Fairground, the camp—was ignored. It succumbed to the blind spot of the rise of the new modernist capital. No interventions were made on the site, except for shacks built for the workers and creators of New Belgrade. The settlement was neglected and started to decay. People with lower or no income found their home in this city a blind spot. Staro Sajmište — the Old Fairground, as it is called nowadays — although recognized as a place of horror, was never given the proper commemoration. With democratic changes, sole initiatives were taken regarding its transformation into a memorial complex, but up to this day its rich and tragic history remains excluded from public memory. Today, artists and people on the edge of poverty live their daily lives in the former pavilions and houses of death. Most of them are completely unaware of the terror that soaked their land. No one has used or benefited from the neglected, valuable property in the very center of today’s Belgrade nor have the victims of the concentration camp had their due remembrance. The Jewish Community in Belgrade has not had its Holocaust closure. Today’s radically different city tissue may explain why the traces of such vivid historical events are given a blind eye by its citizenry. Not so far away from the Staro Sajmište, Belgrade welcomes most of its visitors to the Generalštab buildings. These Ministry of Defense buildings are a masterpiece of the well-respected Serbian modernist architect Nikola Dobrovic, the demiurge of New Belgrade. Although all of the architect’s work was appreciated as he brought many modernist gems to socialist Yugoslavia, it remains unknown why his masterpiece, the Generalštab — the Ministry of Defense building — was not placed under cultural protection. 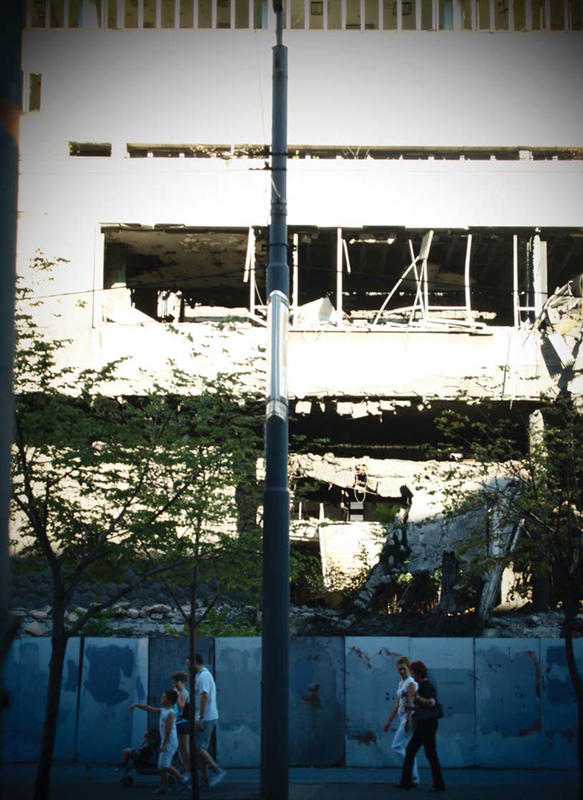 “Unprotected,” it was just a couple of army buildings and thus one of the main targets in the 1999 bombing of Belgrade, when they were heavily damaged. In 2005, they were finally put under state protection as a cultural heritage, that is, what was left of them. For the past fourteen years, the large, dominant and vacant ruins greet Belgraders every day. In one of the most beautiful and important streets of Belgrade, guardrails surround what is supposed to be a cultural heritage. This sends a clear message of how we deal with our traces: we do not; we choose to ignore. The future of these buildings is still undecided. In the first case, the traces of horror are layered by the ignorance of everyday life. In the second, the constant reminder is daily ignored by thousands of passersby. These two cases differ in time and historical situation, as well as ideological and political background. What they share is an important place in our heritage, and in a future yet to be decided upon. Both lay on some of the most valuable city property, ruined and neglected. The lifeline of the Serbian capital is entwined with disruptions and new beginnings. Every regime presents its interests through the built environment, ignoring what their predecessors have left. Some may wonder if ignoring all traces is the only way to truly move forward. But we also wonder if we ignore the past, where will we find solid ground for our future? New generations cannot see the events that occurred before their time. They read and learn from the traces; they see the ruins and neglect. Ljubica Slavković is a freelance architect and journalist. Besides her architecture practice, her main interest is the independent research of Belgrade architectural and urban planning history. She has published more than 100 articles for various Serbian magazines, in the field of Architecture, Urban Planning & Development, and Urban History.